When I finally broke down and realized momma can't do it all, all of the time, I waved the white surrender flag and started looking for a babysitter. We have been fortunate to find some amazing young women who not only give us breaks for work, date nights, and general mental health, but also really love our boy. I often hear other moms talk about how they have a hard time finding and keeping a long-term babysitter and I can tell you that it's not all just luck. 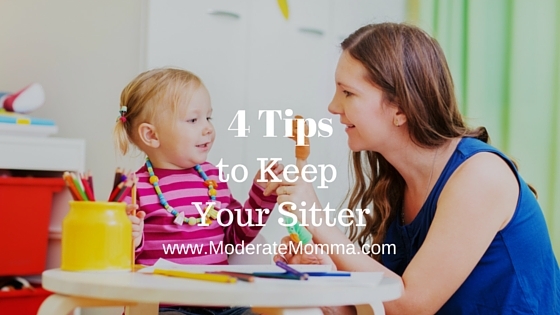 Once you find a great sitter, you need to go about keeping that sitter. He or she is your greatest resource! These tips have come through trial and error and most of them came at the insistence of my husband. I love that I married a man who is thoughtful. I don't know that we would have kept our awesome sitters as long as we have if it weren't for him. Pay fairly and well. We had a sitter who told us her fee was $2/hour less than all the local competition. That was music to my ears as a budget conscious momma! But my husband insisted that we pay her the going rate. His point was that if she had multiple requests for a Friday night sitting job, we would obviously rise to the top because we pay her more. She went on to be a long-term sitter for us and frequently made herself available to us when we had a last minute need. Keep your word. If you request a sitter in advance, he or she has cleared their schedule to be there for you. They may have turned down other work, or social engagements to care for your child. Things come up, I get that, but if you need to cancel, give as much advance notice as possible. Our policy has always been that if we have to cancel within 24 hours, we still pay our sitter. Don't simply think, "Oh they're just kids, this is fun money for them, it's no big deal." Our sitters use their income from childcare to pay their car note, insurance and cell phone bills. Similarly, if you decide to call your date night early and come home an hour before you planned, go ahead and pay your sitter for the full-time. Be considerate. If your sitter is going to be at your home all evening, have something there for them to eat and drink. I like to ask my sitters if they have a favorite food or drink or if they have any food allergies. Better yet, leave some cash and takeout menus! Bottom line, treat your sitter like the valuable resource that they are and they will keep coming back to give you the break you need. Exuberant Bathtime...splash all the water out of the tub soaking mommy in the process. Bargain with toddler to brush his teeth and end up doing it for him. Wrestle toddler into pajamas while he jumps on the bed. Pick out a minimum of 5 books. Read each book a minimum of 3 times. Say prayers. Thank God for Daniel Tiger, Goldfish crackers and the park, you know, the important stuff. Give hugs and kisses. Just one more, and another. Toddler asks for a snack. Toddler asks for a back rub. Toddler finally drifts off after having his back rubbed for 20 minutes. Toddler is awake and upset that his back is no longer being rubbed. Repeat steps 4 - 10 as necessary. This exhausting routine went on night after night because I believed that this song and dance would lull my son into peaceful slumber and give me good mom bonus points because I was doing all the things "good" moms do. 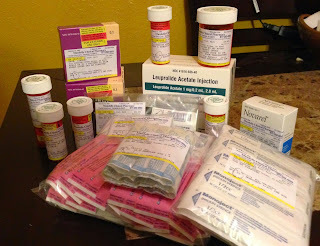 One night I decided I was done. After getting my son dressed for bed, I tucked him in, kissed his forehead, told him I loved him and that I'd see him in the morning. I turned around and left the room. BOOM. Mic Drop. Mom's out. No stories, no prayers, no requests for water and snacks. Just no. I waited in the other room for him to run out of his room raising all kinds of holy hell that mommy didn't follow the bedtime schtick. But here's the thing...he didn't. He FREAKING WENT TO SLEEP! 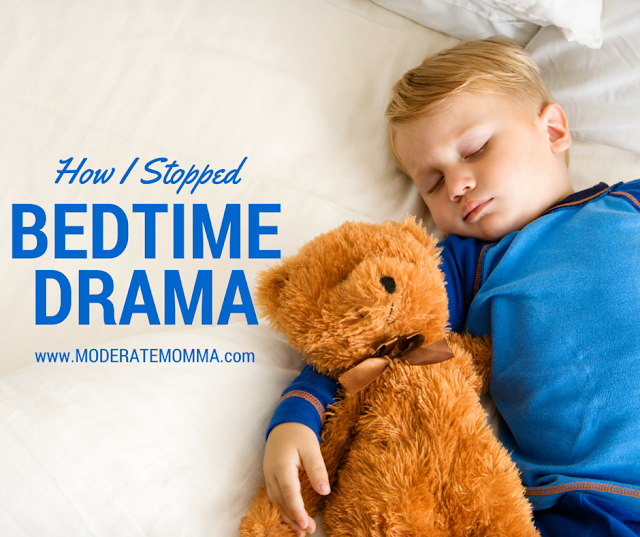 We have repeated the simplified bedtime every night for the last month. And sweet fancy Moses, it has been a game changer. I don't dread bedtime each night. I've recouped an hour of my day to spend alone with my husband, and amazingly our son is sleeping better. That's not to say that he doesn't peek his head out of his bedroom down the hallway at me after I've put him to bed. What has changed is that I do not engage. I no longer fly down the hallway to tuck him back in and start the routine anew. I tell him (from my comfy chair) "Hey Bubba, it's time to rest your body. Get back into bed." and that's that. He scampers up into his bed and typically when I check on him a few minutes later he's fast asleep clutching a truck, or frisbee, or whatever item has become precious to him that day. For our boy, a simple bedtime is best. 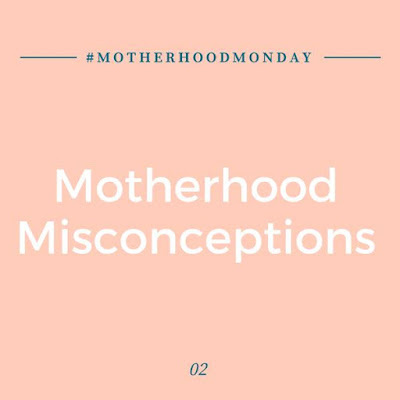 And once I let go of the ridiculous notion of mom guilt over not creating a magical bedtime experience for my two year old, I was happier too! Bottom line, we make life special for our kids in a variety of ways everyday. Not everything has to be sparkly and full of fairy-dust, and re-pinable for Pinterest. Maybe bedtime can just be bedtime. Before I became a mother, I thought that the biggest change that motherhood would bring to me as a person, would be the title of "mom". 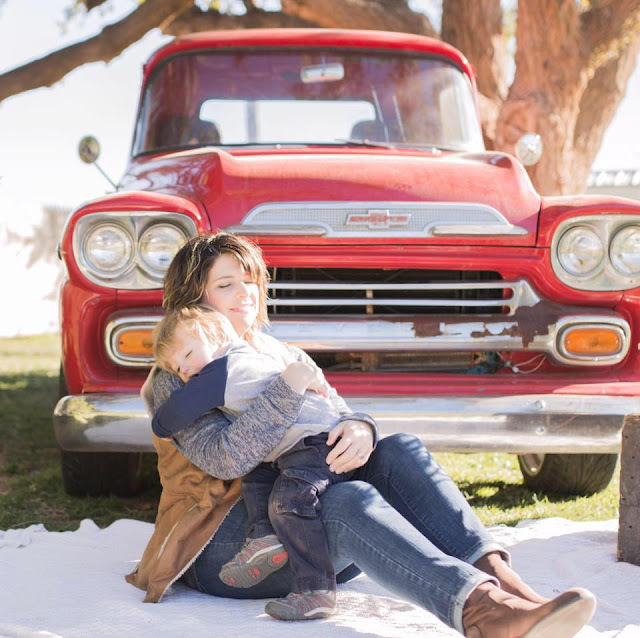 I knew that motherhood would change my lifestyle, my schedule, my body, and my sleep, but I believed that the same "Lindsey" would still be there underneath all the diapers and bottles and stretchy pants. I couldn't have been more wrong. Yes, there are still vestiges of pre-mom Lindsey: my sense of humor, love of chocolate, half-hearted crafting, empathetic crying, and love of losing myself in a good book; but there has been a deep and irrevocable change that has taken place. I look at life through a different lens now. I no longer think of just myself and my spouse when making decisions. I also think WAY more long term than I ever have in my previous 35 years. I've always been a bit of a Pollyanna, and while a desire to see the best in people still exists in me, it has been tempered with a more analytical and scrutinous side. Becoming a mother also intensified my radar. You know what I mean, that gut-check instinct that makes the hair stand up on the back of your neck if something doesn't feel quite right. 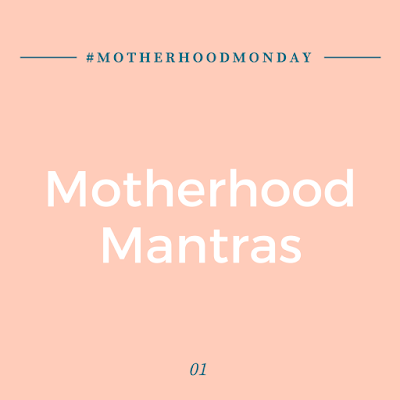 Motherhood hasn't made me fearful, but it has taught me to trust my instincts and not feel silly if I need to walk away from someplace or someone. Motherhood expanded my emotions in ways I didn't know possible. If you've found yourself dealing with a toddler lately you know that you can go from immense pride to frustration to a soul crushing love in a matter of an hour and that is just a Monday. Your baby is imbedded (literally) in you. We spend 10 months with our babies in utero; feeding them and literally forming them into existence. That alone would make for a powerful connection and bond, but now scientists have found an even more fascinating link. Cells from your child can travel from the placenta into other parts of your body, taking up residence in your organs. So a little piece of your child(ren) still lives inside you. Scientific American explains it so much better than I do, so check out this article. After childbirth, your brain grows. In a 2010 study, researchers looked at brain-scan images of 19 women before an after they gave birth and found that the size of mothers' brains increased shortly after childbirth. I'm guessing we need the increase of gray matter to deal with the intense sleep-deprivation and still function. Becoming a parent looks a lot like falling in love. Moms experience a surge of oxytocin when looking at/feeding/nurturing their babies and this triggers similar responses in the amygdala as those falling in love. 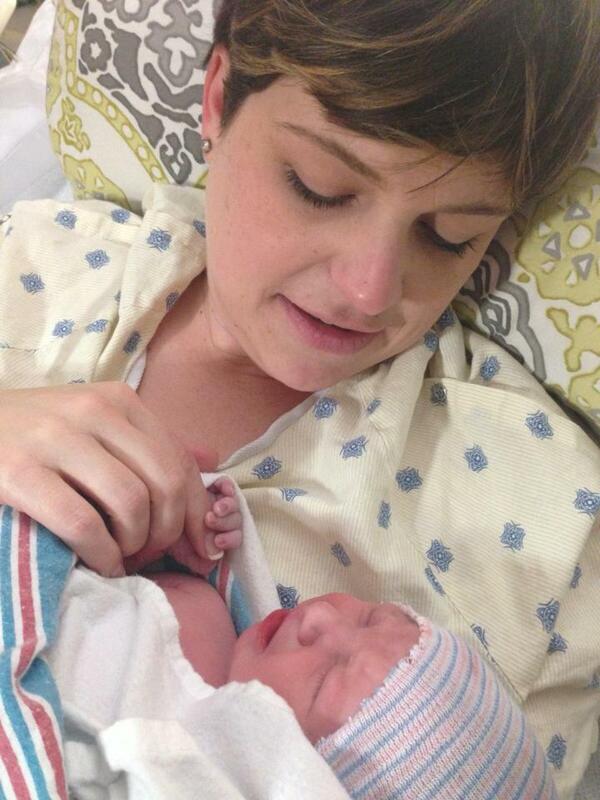 It helps explain that crazy wave of love you feel when you hold your newborn (and can't stop sniffing their head). So to say that my pre-conceived notion of retaining myself unchanged after motherhood was a misconception would be an understatement. This little man has altered me in all the best ways possible and I wouldn't go back if I could! 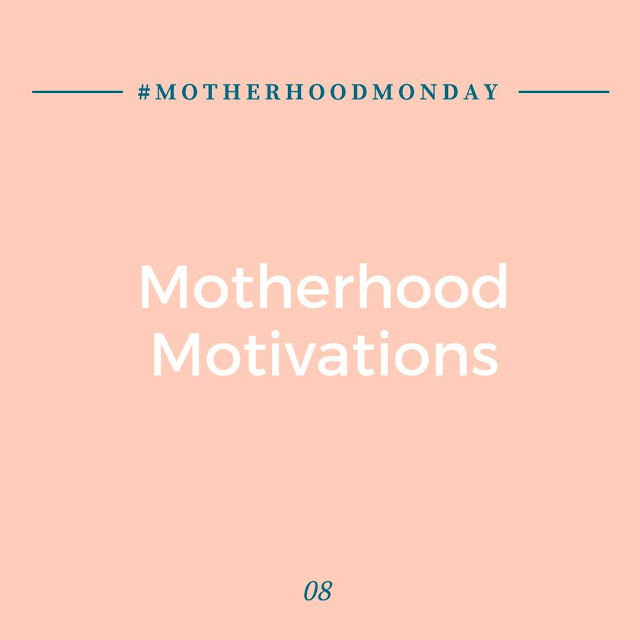 Want to join the fun for next week's #MotherhoodMonday? Email themomwhoblogs@gmail.com for more info! Happy Monday, friends! I'm joining up with The Mother Blog this week for her #MotherhoodMonday series. 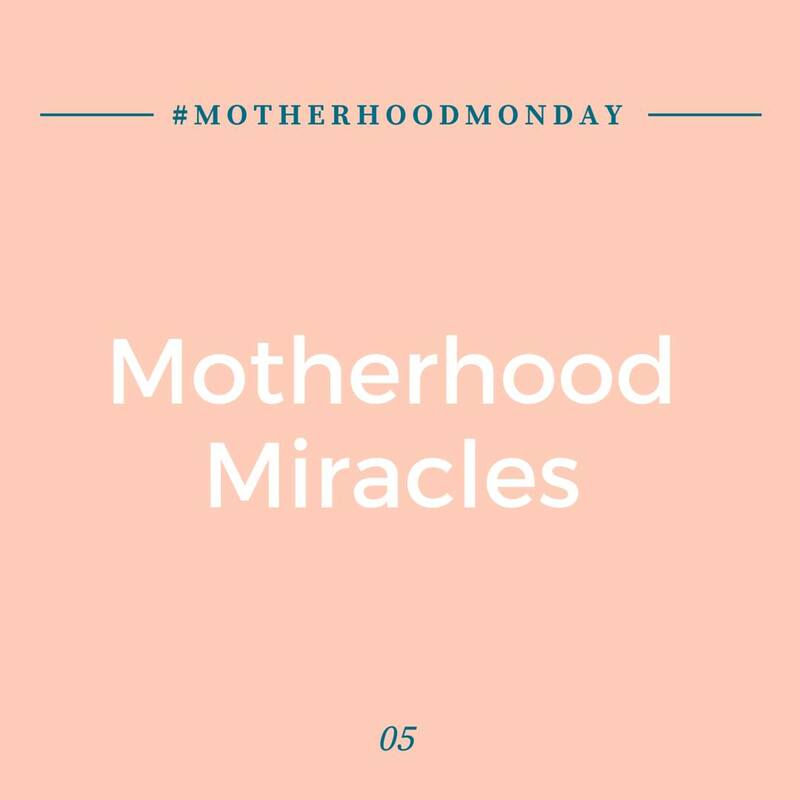 If you haven't started following her, link up with her on Instagram @themotherblog! 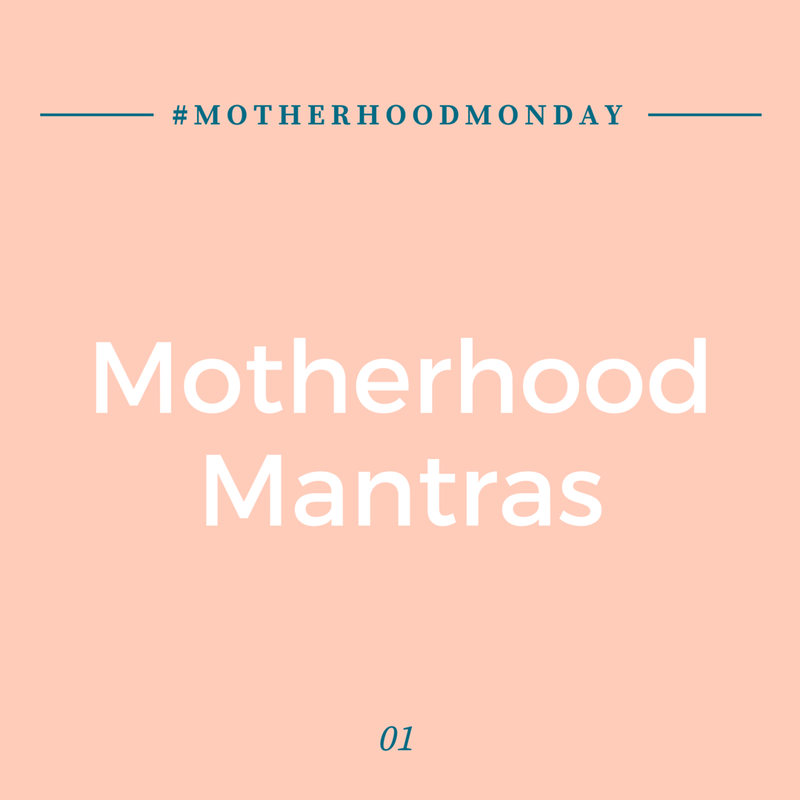 This week's writing theme is Motherhood Mantras. 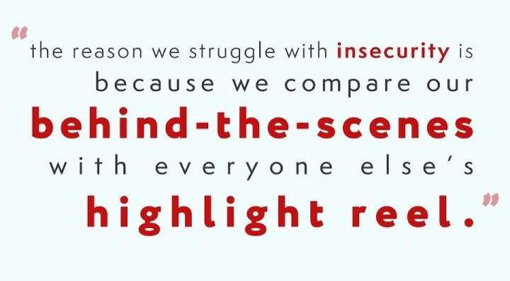 Don't compare your behind-the-scenes with everyone's highlight reel: I admit it, I struggle with comparison. It's damn near impossible not to. So when I feel that sinking feeling in my gut that my house/hair/clothes/car/vacation/family aren't measuring up to what I see in my news feed, I give myself a social media time out and count my blessings. 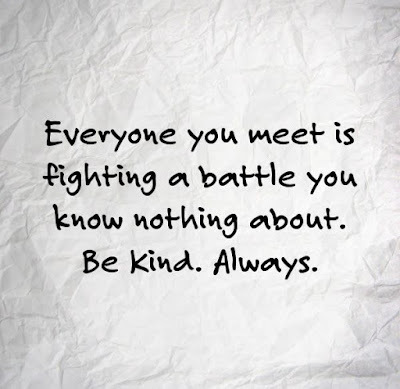 Be Kind, Always: Recently I've had a handful of friends open up to me about personal struggles that I would have had ZERO clue about had they not told me. 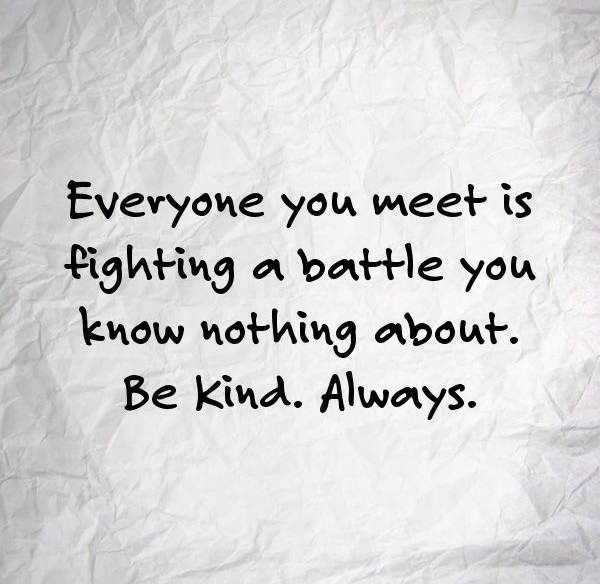 We don't all wear our hurts and battles on our sleeves, so kindness should always be our default. You never know who is struggling with infertility, marriage troubles, grieving a family member, battling depression, fighting illness, or a plethora of other issues. This also helps me approach my child with kindness. He may be having a tantrum, or acting out, but I try to calm myself and remind myself to approach with kindness. I get down on his level and find out what the problem is. Is he tired, teething, or frustrated that he can't physically do something? I want my son to learn to be kind and who is a better role model than his parent? 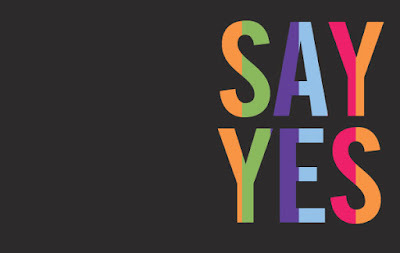 Say Yes: When I was pregnant with my son, a co-worker and mother of 3 grown boys gave me a wonderful nugget of advice. She said, "There will be plenty of times you have to tell your child no. So whenever possible, say yes." This really stuck with me. I remind myself to say yes to my toddler as often as I can in a day. Now, I don't give in to every request for more cookies, but if the thing he's asking isn't going to hurt him, or spoil his dinner, I pretty much say yes. Yes, I'll play blocks with you. Yes, we can color. Yes, mommy will run in circles and chase you. Yes, we can pull all the pillows off the bed and make a fort. Just say yes.